From March 28 to April 1, 2018, a Megaphone Spring Meeting was held, organized and conducted by the National Network for Children with the support of the Megaphone Youth Network. The event took place within 5 days in Kostenets and gathered together 10 young people and 5 senior experts from member organizations of the Network from all over the country. Daniela Zaharieva and Todor Ginev – volunteers at the Future for the Children Association and their manager Lyubomira Kasabova also took part in the meeting. A team of facilitators from the National Network for Children held workshops with young people. They had the opportunity to plan the events, campaigns and initiatives of the Network together with the support of senior members of the member organizations. This environment has given opportunities for exchanging ideas, experiences and practices in the field of major youth events focusing on the participation of children and young people, as well as identifying local issues. So far, the young megaphones have had the opportunity to participate in the UNICEF Conference, the Voice it Youth Forum and the “Osvetofar!” /the young people work on a local project such as environment and children’s rights” as well as youth participation activities carried out by their organizations. At the spring meeting the young people shared their impressions of the activities and events held so far. 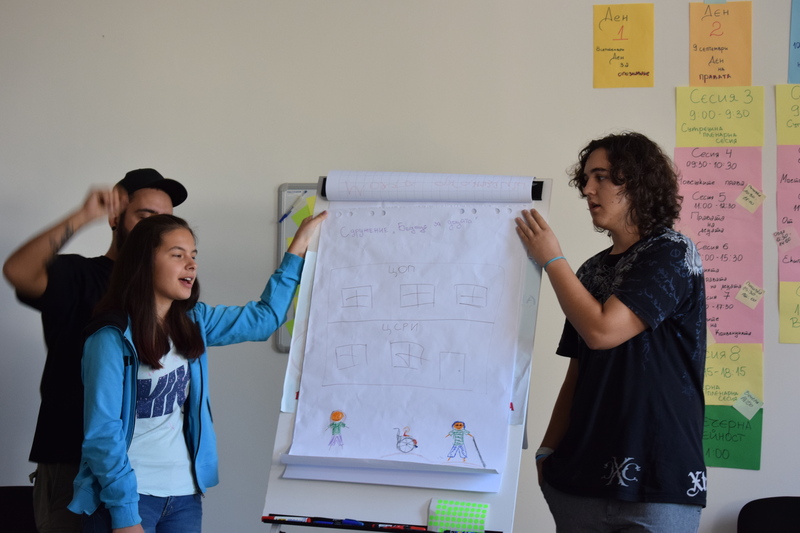 With the help of the National Network for Children facilitators, the youngsters have learned to share and justify their opinions and talk about their right to express themselves, and how necessary it is. In addition, the youngsters shared their roles in the next network events – the Golden Apple Awards for people who contribute to a better life for Bulgaria’s children and the Annual General Meeting. Todor and Daniela shared that thanks to the program so far they have gained more experience and self-esteem. The Spring meeting is a continuation of the Megaphone program for child and youth participation, which spans a two-year period, during which the new Megaphonian class takes up roles by activities and then by features that allow them to engage in everything, which the National Network for Children does. The program has been conceived together with young people from the “Megaphone” Youth Network and builds on the experience of the National Network for Children in various activities for children and youth participation. The goals of the “Megaphone” Program are to provide a comprehensive and coherent process of building the capacity of both young people and organizations that are members of the National Child Rights Network in the field of children’s rights. To opinion and participation – values, attitudes , theory and practice and to structure and facilitate the development of a comprehensive model of authentic child and youth participation in the National Children’s Network.